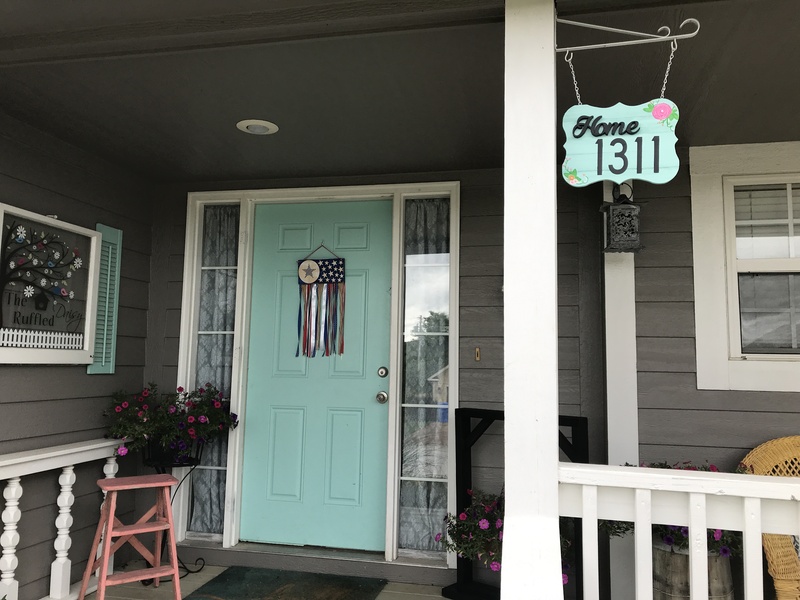 Address signs are one of the first things people see when they arrive at your house! Mine was a little lackluster and so I wanted to come up with something new that represented us! I was pretty bored with the generic letters that you just attach to your house or mailbox. I headed to Hobby Lobby and grabbed some supplies and had this one done in about 20 minutes! 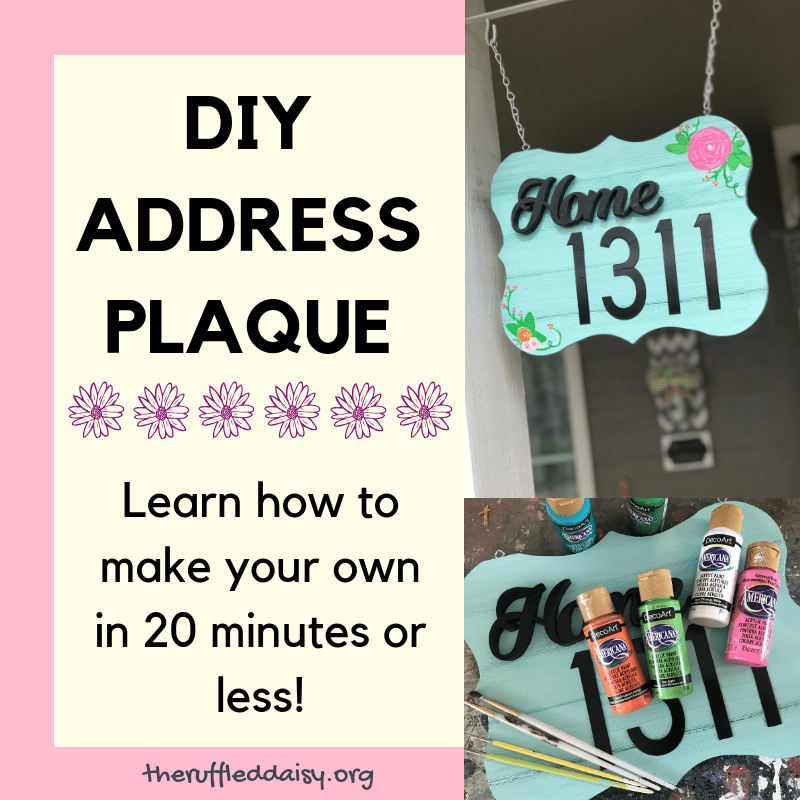 Here’s what you need to make your own Home Address Plaque! 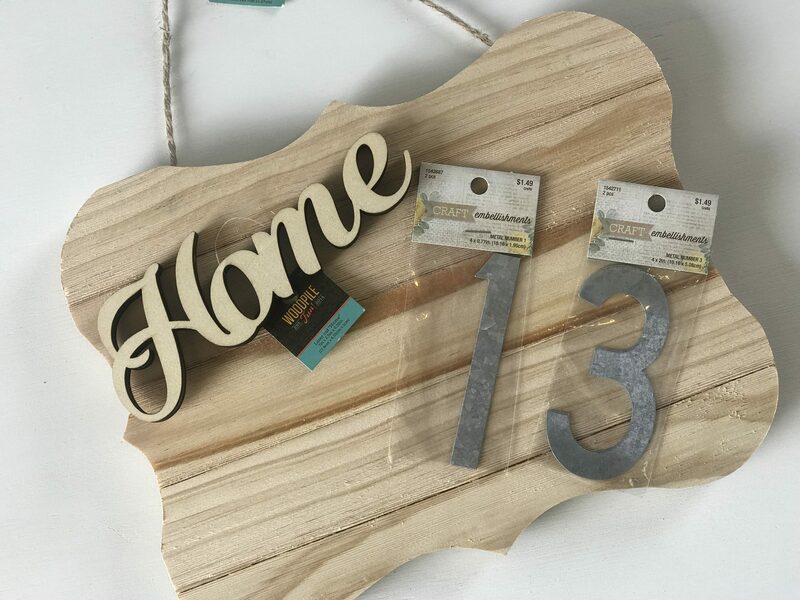 Wooden plaque – there are several different styles in the store and online to choose from. 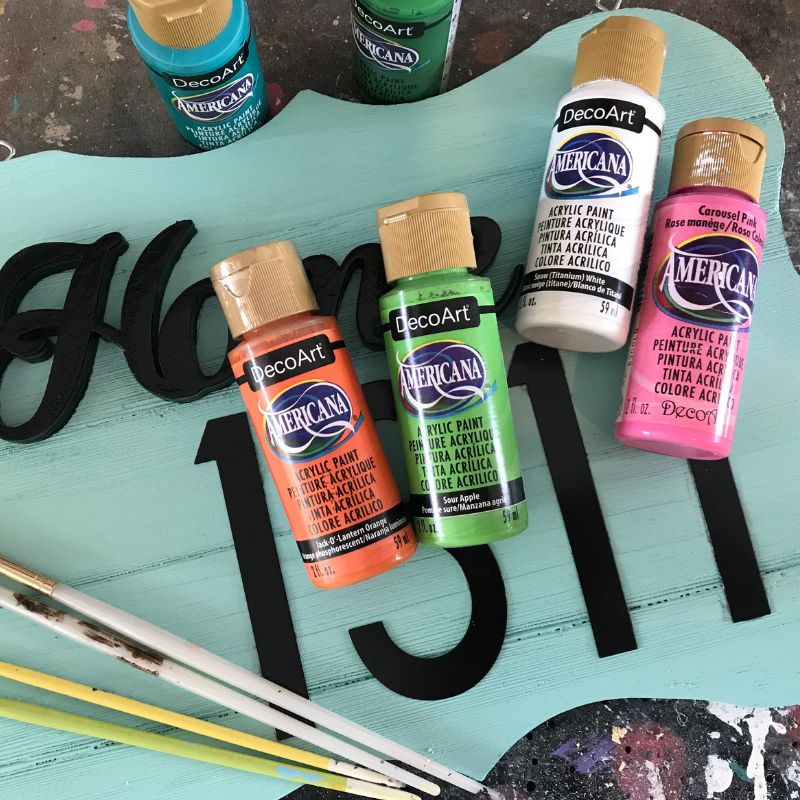 DecoArt Acrylic paint – this assortment pack gives you every color you could think of for a great price! 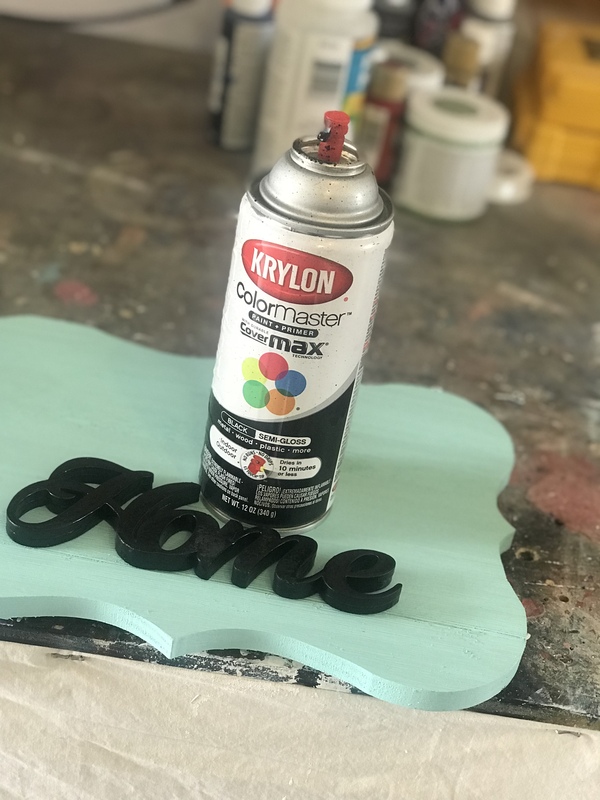 After putting a coat of DecoArt paint on the plaque, you’ll want to paint your letters and your “Home” with spray paint. 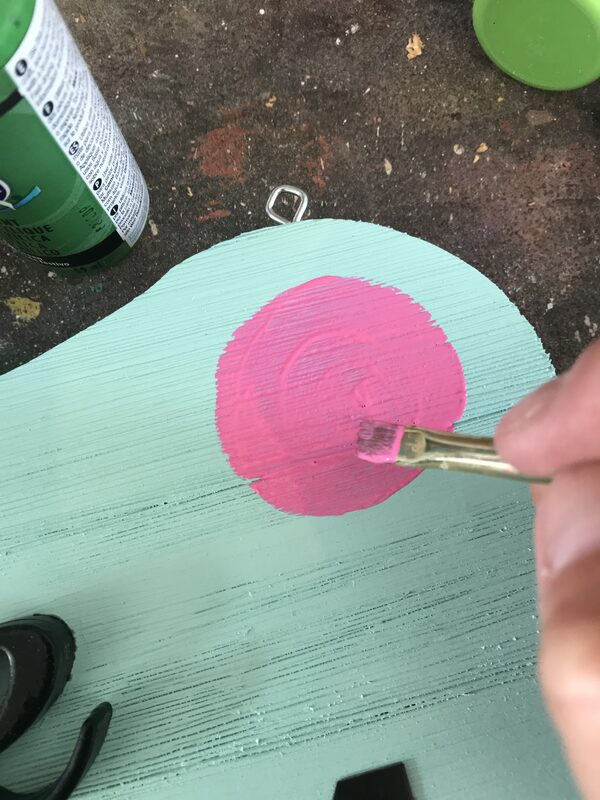 After your spray painted pieces are dry, you can use super glue to adhere them to your painted plaque. The gel super glue is the best! 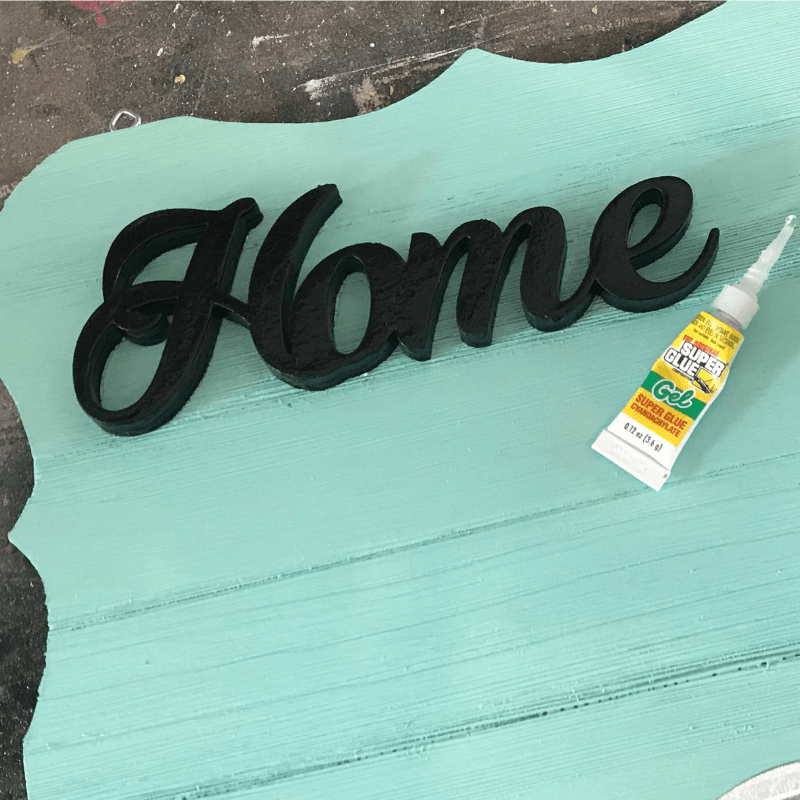 Using hooks and eyes, attach them to the top of the painted plaque to make hanging easier. 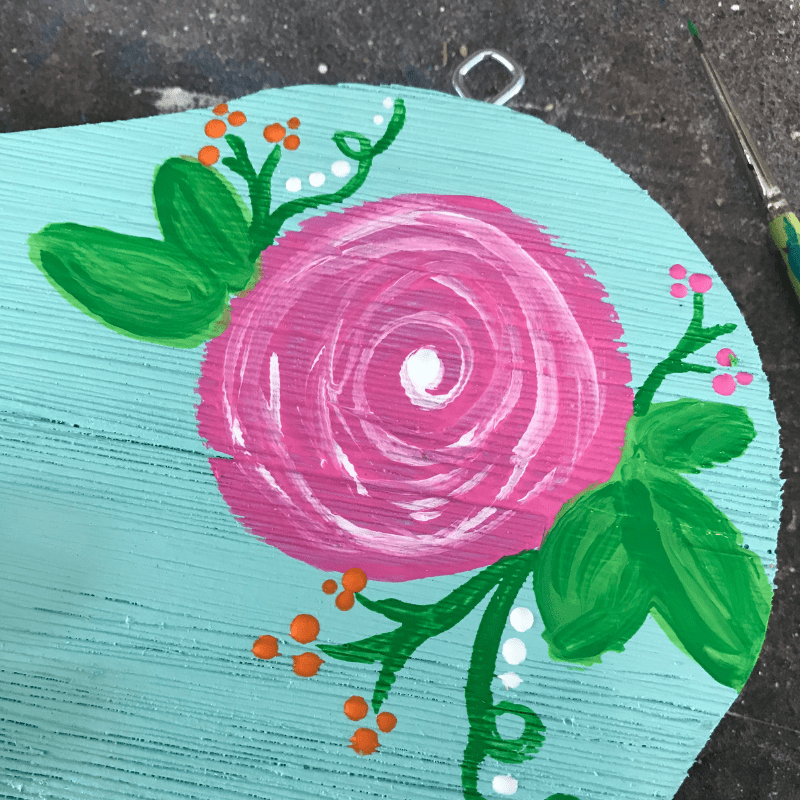 Using DecoArt paint, freehand your flowers! Don’t worry! It’s super simple! The flower is a simple circle! 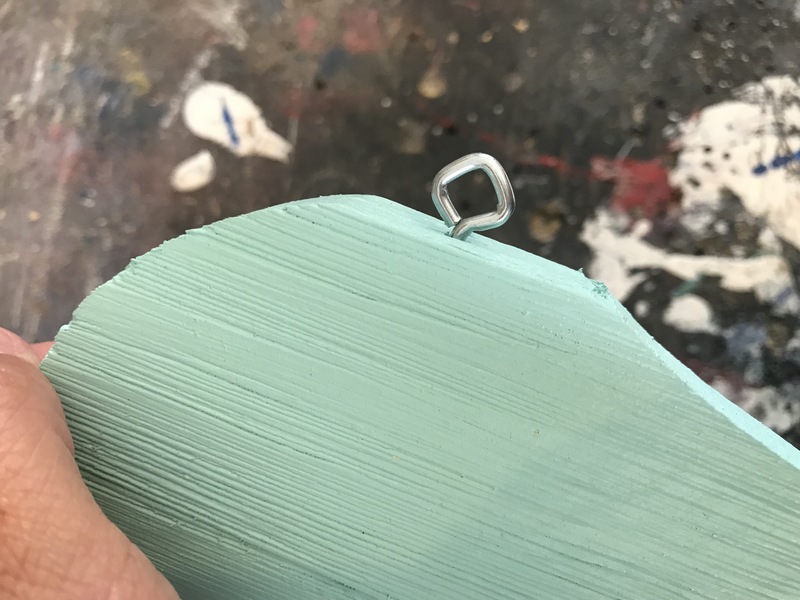 You will use other accent colors to add dimension as needed. Here’s one flower done! Circles, swirls, dots and lines! That’s really all it is. Try your hand it at!! These are the EASIEST flowers EVER to paint! Spray with any outdoor sealer attach some chain and it’s ready to display!! 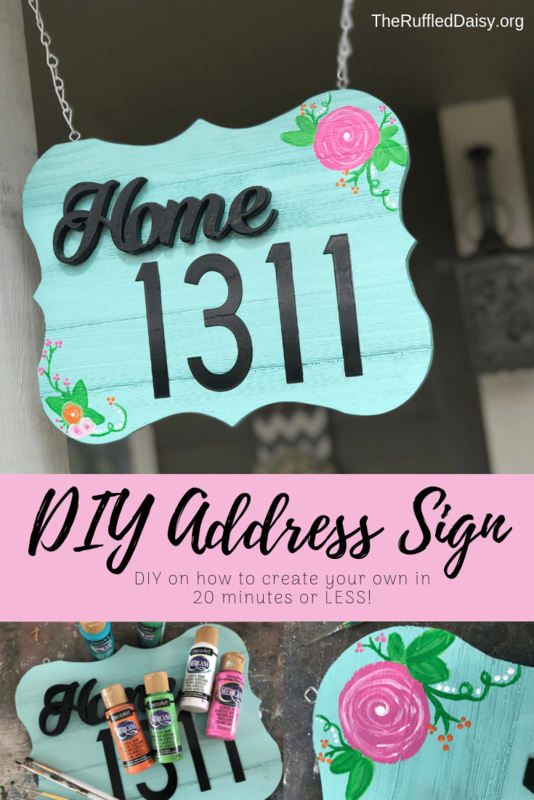 Did you like this DIY Home Address Sign? I’d love for you to share it with your friends on social media and PIN it so you have it for later! If you like what you see on this page, I’d love for you to join my mailing list HERE! When you join, I’ll send you a my FREE Home Decor Holiday Printables that you can immediately download. Just my way of saying “thank you” and encouraging you to live your best life! !